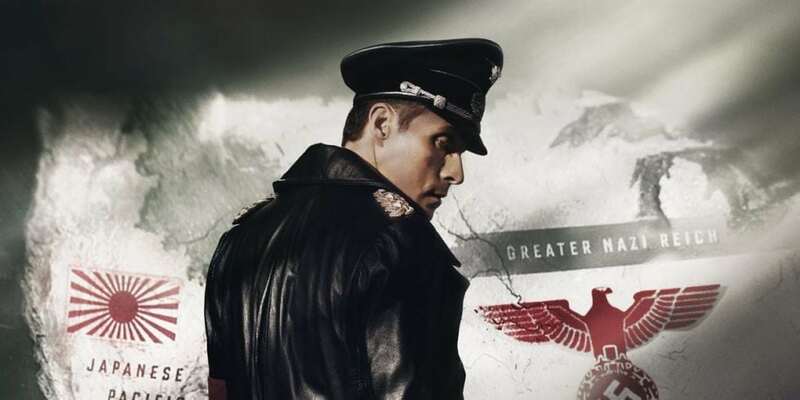 Almost two whole years after the release of season 2, The Man in the High Castle season 3 has arrived and the fight between the Axis powers of another world continues. Season 3 builds on the stories of all the core characters introduced through the first two seasons and introduces a few new players as the sci-fi elements of the series begin to take shape. As the Nazis edge closer to being able to secure a passage through the multiverse tensions with the Japanese rise and the resistance forms the beginnings of some sort of an uprising. This season feels like it’s running at a slightly slower pace than the first two seasons but is operating on a much larger scale with more moving parts so in a way it cancels itself out. It does however lead to a number of boring patches when certain sequences and character arcs aren’t as engaging as the main plot. When the focus transitions to a couple of the secondary arcs I started to lose a bit of interest especially in some of the arcs that last over the entire season with little progress. For example, there’s a personal arc involving John Smith (Rufus Sewell) and his family which didn’t grab me at all, and the journey that Robert Childan (Brennan Brown) embarks on through the season wasn’t of much interest either. The majority of the content in each episode is great it’s just that with the slower pacing some of the less-interesting areas stand out more. There are a lot of moving parts this season with characters spread all throughout the Greater Nazi Reich, Japanese Pacific States, and Neural Zone but the series still maintains cohesion between all of its character arcs. It never neglects a specific group for too long spending just the right amount of time on other characters before coming back so you don’t forget everything. It’s quite impressive how it’s organised so well, even when things start to go a little crazy in terms of the storylines it remains very easy to follow. As I mentioned earlier it does raise situations where cutting away from a major moment with one character is going to result in wanting to get back to that character no matter what it cuts to. But this doesn’t happen all too often and it’s well handled for the most part. Personally I still find the focus on the inner workings of the Nazi’s and the Japanese deeply fascinating, much more than anything going on with the resistance. Seeing how the rankings, levels of power, and social customs work within the Reich is one of the reasons I got into the series and it’s still just as fascinating now. Definitely a highlight of season 3. The characters and performances across the board are great and very convincing, especially from the main players in Juliana Crain (Alexa Davalos), Inspector Kido (Joel de la Fuente), Trade Minister Tagomi (Cary-Hiroyuki Tagawa), and John Smith (Rufus Sewell). These characters specifically are built up well through the first two seasons to where you care about them and are really rooting for them all even though they’re all on opposing sides. That shows the series’ ability to really paint the people on each side as just as good and bad for the world as the others, allowing you to get behind even the ‘villains’ of the world. Then there’s a couple of new roles from Jason O’Mara and William Forsythe who play Wyatt/Liam and J. Edgar Hoover respectively and they make for some pretty interesting characters this season. It’s a well balanced crew overall, I have my favourite characters but there isn’t really anyone I disliked entirely. Throughout the first two seasons there has been a subtle sci-fi element to the show with the presence of the man in the high castle, the tapes, and the existence of parallel worlds driving the course of this world. But this season really doubles down on these elements and it’s glorious to say the least. You learn a little bit more about the tapes but it gets much larger than just the tapes as the season progresses. These elements build throughout the season to a rather explosive finale which sets up the season for an even bigger and drastically more dramatic fourth season. The Man in the High Castle is a political war drama with a sci-fi spin on things that seems to be becoming more and more prominent. The season builds on the first two seasons in some ways but also falls short in some areas. I thoroughly enjoyed the season but do feel like the previous seasons were a little stronger. The performances are great and the majority of the characters still have engaging arcs spanning the entire season. I can’t wait to see where things go next, I just hope it’s not another 2 year wait for season 4.